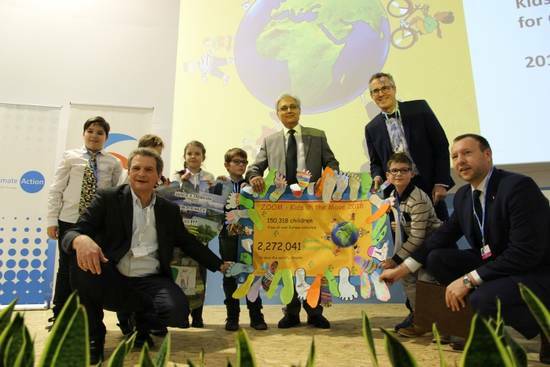 Also in 2019 many thousand children will be collecting Green Footprints, Grüne Meilen, Klimameilen, Groene Voetstappen, Miglia Verdi, Klimaschritte, etc. How many footprints will there be in 2019? A click on the Footprint Counter shows the final amount from 2018. 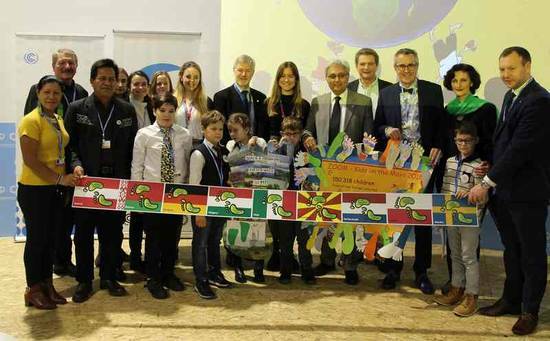 The handover 2018 in Katowice with the final number of the collected "Green Miles"
ZOOM-Kids are Moving for Climate since 2002 - you can imagine that they collected quite some Green Footprints up to now. 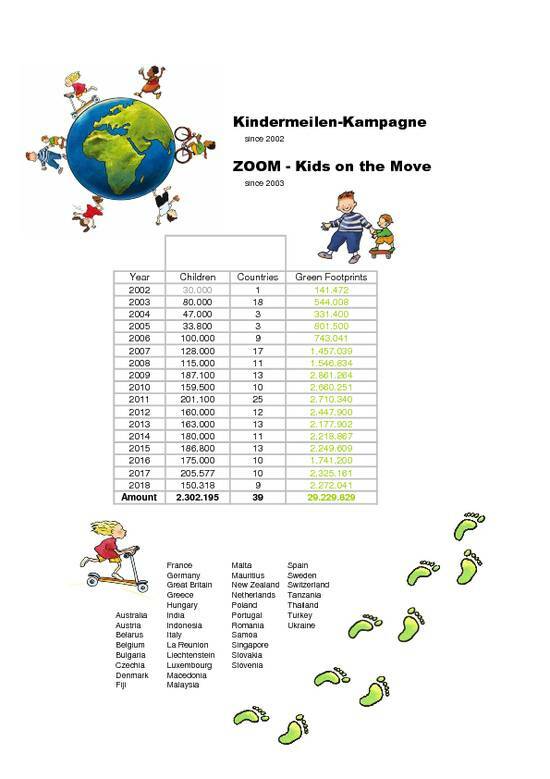 If you want to have a closer look at the footprints amounts of the last years and at where the little ZOOMers came from please click here.